In his 2009 speech in Prague, President Barack Obama declared, “[W]e must ensure that terrorists never acquire a nuclear weapon. This is the most immediate and extreme threat to global security.” To help deal with this threat, he said the world needed “durable institutions” devoted to the problem and announced that the United States would host a global summit on nuclear security in part to address that issue. Since the speech in Prague, there have been nuclear security summits in Washington in 2010, Seoul in 2012, and The Hague last year. Obama will host what is widely expected to be the last nuclear security summit in the United States next year. The summits and the work that precedes each of them have generated progress on a variety of issues related to diminishing the threat of nuclear terrorism. Yet, they have not produced any “durable institutions” to prevent nuclear terrorism or any clarity on how the nuclear security regime can be sustainably strengthened once the summits end. This article reviews the reasons for concern about the threat of nuclear terrorism, analyzes the current state of the nuclear security regime, and describes how an international convention on nuclear security could close existing gaps and be the “durable institution” Obama called for to ensure the nuclear security regime is as dynamic as the threat it is meant to prevent. Some wonder whether the threat of nuclear terrorism exists outside of novels and Hollywood action films. The administrations of President George W. Bush and Obama have made clear the threat is real. Other global leaders, including those from the other 52 countries that have participated in the nuclear security summits, have done the same. Successive U.S. directors of national intelligence have outlined the reality of the threat in testimony to Congress and in their national intelligence strategies. 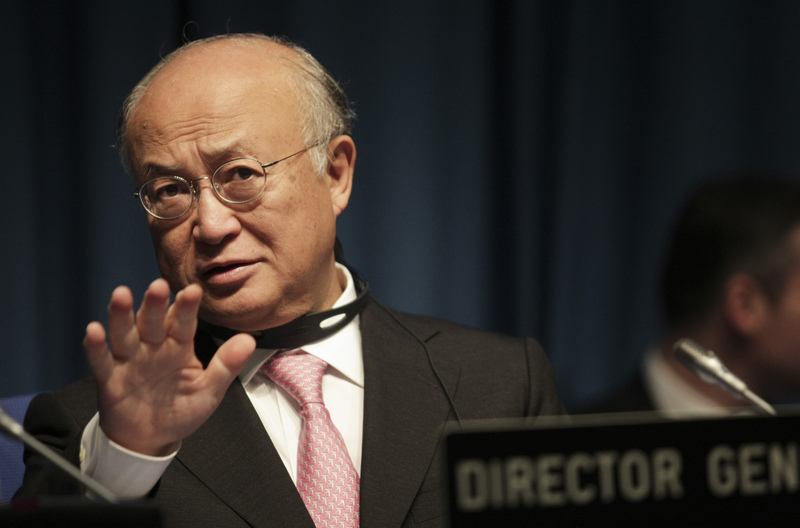 Yukiya Amano, the director-general of the International Atomic Energy Agency (IAEA), and his immediate predecessor, Mohamed ElBaradei, have described nuclear terrorism as a threat that needs urgent attention. A nuclear terrorist attack, particularly one involving fissionable materials, would produce devastating international political, economic, humanitarian, and environmental consequences. Expert studies have concluded that even a small nuclear explosion in a major city would immediately kill tens of thousands of people and cause even more deaths subsequently. The explosion would destroy infrastructure over a wide area, and radiation would make a larger area unusable for many years. The costs of attending to the human casualties, relocating large numbers of people, and undertaking new construction and the cleanup of land and buildings, combined with the costs arising from bankruptcies, trade dislocations, and the disruption of energy and other supplies, would most likely be in the trillions of dollars. Terrorists also could make a device from radiological substances, which are used globally for medical, research, and industrial purposes. A radiological dispersal device, or “dirty bomb,” would produce fewer casualties, but could result in significant consequences and costs for health, infrastructure, and the environment. Such a device also could make many blocks in an urban area too contaminated for humans to work or live in without time-consuming remediation. This would be very expensive and very disruptive to people’s lives, the environment, and the economy. Terrorist use of any type of nuclear device would cross an important psychological threshold for the public, governments and terrorist groups themselves, taking questions of national and international security into uncharted waters. At least five terrorist groups, including al Qaeda and the Islamic State, have demonstrated an interest in acquiring and using nuclear material or a nuclear weapon. Terrorists do not need to steal a nuclear weapon. An improvised nuclear device, which would have the explosive power comparable to the weapons used in Hiroshima and Nagasaki, can be made from highly enriched uranium or plutonium being used for civilian purposes. The Islamic State indicated its interest in nuclear terrorism with a boast about constructing a dirty bomb after stealing 88 pounds of unenriched uranium compounds from a university laboratory when it overran Mosul, Iraq, in 2014. The continued loss, theft, and illegal movement of nuclear and other radioactive materials demonstrate that material is available for terrorists to acquire and use as a weapon. Since 1993, the IAEA has logged some 2,500 cases related to the theft, loss of control, unauthorized possession, or illicit trafficking of nuclear and other radioactive material. The insecurity of nuclear and other radioactive material continues, with some 150 cases of theft, loss of control, or illicit trafficking reported annually. At least 18 cases of confirmed thefts or loss of weapons-usable nuclear material have occurred, the latest in 2011. The growing global demand for nuclear energy for power production and industrial, medical, and research uses means there will be an increasing amount of nuclear material in a growing number of countries that needs to be secured in the future. The impact of a terrorist nuclear explosion would be felt far beyond the city and country where it occurred. The entire global community would be affected, particularly those least able to afford it. In a 2005 speech, UN Secretary-General Kofi Annan said an act of nuclear terrorism “would stagger the world economy and thrust tens of millions of people into dire poverty” and create “a second death toll throughout the developing world.” Other likely impacts would be an enhanced focus on security to prevent future nuclear attacks. This would affect international trade and investment, development assistance, and quite possibly domestic and international systems of governance. For all these reasons, nuclear terrorism must be prevented, as no response could undo the pervasive damage an incident would inflict on individuals, societies, and global approaches to governance and security. Over time, the international community has constructed a nuclear security regime that is a patchwork of international treaties, organizations, and initiatives that rely largely on voluntary actions. The two relevant treaties—the International Convention for the Suppression of Acts of Nuclear Terrorism and the Convention on the Physical Protection of Nuclear Material (CPPNM), as well as the latter’s 2005 amendment, which is not yet in force—are narrowly focused in what they address and very general in what they ask states to do. UN Security Council Resolutions 1373, 1540, and 1887 require states to take steps to combat terrorism and prevent the proliferation of nonconventional weapons, including to terrorist and criminal groups. These legally binding international documents are useful, but have little relevance in day-to-day operations to secure nuclear and other radioactive material, in part because some of what they cover includes actions to take after a terrorist attack. In the wake of the September 11 attacks, the IAEA developed a prominent role in nuclear security. It produced a variety of recommendations, standards, and services to help member states improve their systems for securing nuclear and other radioactive material, but it has no legal mandate to require actions by states, which are free to adopt or ignore IAEA advice related to nuclear security. This is different from the IAEA safeguards agreements that are mandated by the nuclear Nonproliferation Treaty, an international agreement. The IAEA, for example, can review but not require changes in a country’s nuclear security practices, and it can conduct such reviews only if it is asked to do so. The inspected country is under no obligation to do anything in response to the agency’s findings. The IAEA has begun to host ministerial conferences on nuclear security, which, to date, have been mainly opportunities for ministerial speechmaking rather than for decisions on concrete actions. The final element of the current nuclear security regime is initiatives undertaken by like-minded states. These include the Global Partnership Against the Spread of Weapons and Materials of Mass Destruction, the Proliferation Security Initiative, and the Global Initiative to Combat Nuclear Terrorism. These initiatives have produced useful recommendations and actions to strengthen nuclear security and prevent nuclear terrorism and proliferation, but all are voluntary in nature. As a result, some states do more than others, and all states do only what they wish, not necessarily what needs to be done. The summits have taken the nuclear security issue to the highest political level. The three summits that have taken place to date represent an unusual degree of sustained senior-level attention to a complex technical issue. The leaders have agreed on a variety of measures to address the threat of nuclear terrorism that have yielded very useful results. For example, since the summit process began, some 6,000 pounds of vulnerable nuclear material have been secured, states have developed initiatives and proposals to strengthen protection of nuclear and other radioactive materials, and work plans have been agreed that strengthen regional cooperation. 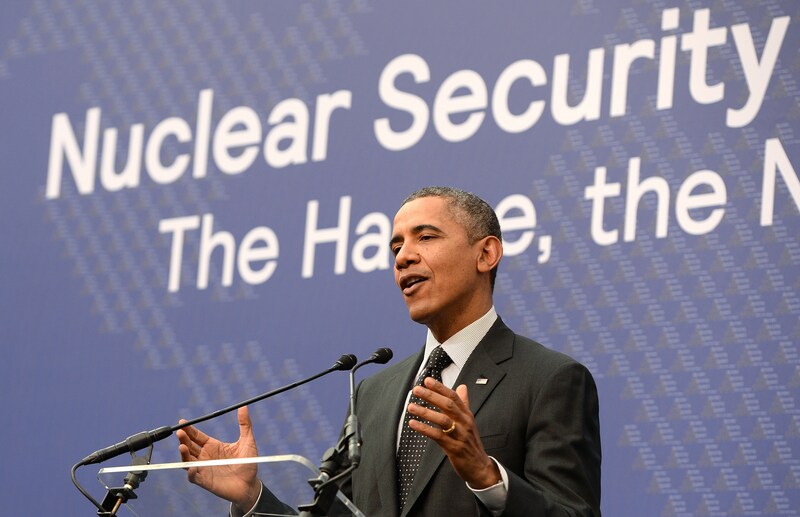 At the 2014 nuclear security summit, 35 of the participating 53 states agreed to incorporate the IAEA nuclear security principles into their national legislation. Although the international community has made progress in improving global nuclear security, the regime’s patchwork and largely voluntary nature is inadequate compared to the consequences of failure. It is vitally important to recognize that the essential elements of an effective and sustainable global nuclear security regime to prevent nuclear terrorism are still missing. The current regime has no agreed and binding standards for securing nuclear and other radioactive materials, no process to assess how states are meeting their responsibility to secure these materials, and, perhaps most importantly, no mechanism to provide a sustained review of and promote improvements in the nuclear security regime as a whole. Many assume the IAEA performs these functions, but it does not. It has no legal mandate to do so, and most of the funding for nuclear security is still provided by the voluntary contributions of a limited number of member states, not the IAEA’s regular budget. As a result, the IAEA’s possibilities to act are limited by the lack of sufficient resources and its restricted mandate. In the aftermath of a nuclear terrorism incident, there can be no doubt that the current piecemeal approach to global nuclear security would be seen as woefully and probably irresponsibly deficient. There is no legitimate reason to wait for a catastrophe before developing an integrated global regime to secure nuclear materials. With the nuclear security summit process most likely coming to an end in 2016, there is an urgent need to develop a mechanism that can provide a process for sustained review and improvement of the nuclear security regime beyond 2016. This is crucial in an environment in which there is an increasing amount of nuclear material and the terrorism threat is escalating. Politically, the first hurdle to address in the process toward a better regime is the traditional concept of national sovereignty, which often restricts the readiness of states to enter into binding international agreements. Because nuclear security is generally linked to important national institutions, intelligence, and confidentiality, the nuclear security regime traditionally has been nationally based. States have to strike a more appropriate balance between considerations of national sovereignty and international responsibility. This would be in line with the recognized principle in international law that activities on a state’s territory shall be undertaken in a way that does not seriously affect other states negatively. A defective nuclear security situation in one state obviously is a potentially serious transboundary threat. A balance along these lines has been developed with regard to nuclear safety in part by adopting the Convention on Nuclear Safety. This difference between nuclear safety and nuclear security is not logical because terrorists might create the same threatening situations that an accident or a natural disaster could. The growing political consciousness of states regarding the threat, consequences, and importance of the matter should be transformed into legally binding international arrangements. As in many other areas of international cooperation, states should realize that the burden of taking on obligations would be balanced by the benefits of other states doing the same. This approach ensures a more coherent, effective, and sustainable international defense against nuclear terrorism. Another important prerequisite for the development of strong international governance is universal participation. It has been valuable that groups of like-minded states have taken the lead in the nuclear security summit process and elsewhere, but in the long term, agreements on more-effective implementation and stronger commitments cannot apply only to restricted groups. A global threat should be addressed at the global level. An effective international regime should build on existing relevant instruments and add the critically important missing elements, such as binding common standards, transparency (while protecting sensitive information), cooperation, reviews, and mechanisms that assess how standards and other commitments are implemented and promote continuous improvement of the regime. This would lay the foundation for confidence in the security regimes nationally and internationally. There are various ways to achieve the goal of stronger governance. These include continuing efforts to work within current structures and processes, thereby gradually adding more elements or instruments, binding or nonbinding, to the present patchwork of nuclear security commitments. This approach may eventually bring progress, but its success is uncertain. The most reliable, efficient, and direct way forward is to develop an international convention on nuclear security. This approach can complement existing agreements, address the weaknesses of the current regime, and create a mechanism through which parties to the convention can assess the effectiveness of nuclear security governance and develop ways to improve it. On the basis of the analysis outlined above, an international coalition of multisector experts, the Nuclear Security Governance Experts Group, decided in 2013 that a subgroup of its members should start drafting the model text of an international convention. One of the questions considered was whether a new convention on nuclear security should have the already existing documents attached to it, for example, as protocols or annexes. An argument in favor of this model was that it would become a fully comprehensive international agreement in which all relevant documents on nuclear security could be found. On the other hand, many questions would arise in connection with such a model. For example, could a country that was a state-party only to some of the attached documents become a party to the convention? Would the commitments that are not not legally binding become legally binding if attached to a legally binding convention? Could the existing agreements maintain their independent status in areas such as accession, entry into force, review, and amendments if they were to become attached to the convention? Solutions might be found to most of these questions, but the result could be a labyrinth of obligations that would make many states hesitant to join. The model international convention on nuclear security that the governance group presented at a press conference in Washington on March 24 therefore does not include existing agreements. Likewise, it does not replace or affect any of the existing instruments or processes. Instead, it supplements them and creates a mechanism to develop and strengthen the international regime further without establishing any new international bureaucracy. The aim of the convention is ambitious but realistic. It is based on the assumption that many states may not be ready to enter into a large number of new international obligations immediately. Therefore, according to the convention, the future development and strengthening of international governance in this field lies in the hands of states, assembled in the conference of the parties. The most significant substantive element in the convention is that its annex establishes a set of binding standards for national nuclear security regimes against which the performance of states can be measured. These standards have been reproduced from the IAEA publication titled “Nuclear Security Fundamentals: Objective and Essential Elements of a State’s Nuclear Security Regime.” The standards are the result of extensive negotiations among IAEA member states; the IAEA Board of Governors and General Conference endorsed them in 2012. Thus, they are already generally accepted by states. In their present form, however, the standards are politically but not legally binding, and states therefore may or may not implement them. By being included in the convention, they are converted into legally binding rules. The second crucial feature of the draft is the establishment of the conference of parties, which will be responsible for devoting ongoing attention to the nuclear security regime and for making improvements to the regime that are made necessary by factors such as changing threats and technologies. Its comprehensive mandate includes overseeing the implementation of the convention and reviewing the international nuclear security regime in general. It also may play a more dynamic role by identifying weaknesses and gaps in the international regime and determining how to address them, such as by adopting protocols to the convention. The conference would be the “durable institution” that Obama called for in his Prague speech and which does not yet exist. Adoption of protocols to the convention will be a way to improve and develop the international regime over time. The states themselves would be the masters of this process through negotiations and decisions at the meetings of the conference. The convention should be seen as a living document that leaves the responsibility for the further strengthening of the nuclear security regime to the parties. It contains some basic principles, in particular the common standards, but whether there is a need for additional rules is up to the conference of parties to decide. The convention would require regular reviews of how states implement their nuclear security responsibilities; these reviews would yield practical and timely results. Here again, the role of the conference of parties is decisive. The conference would adopt the procedures and mechanisms that would apply to the review of the reports from states, which are foreseen in the convention. The convention stipulates that the procedures and mechanisms shall protect the confidentiality of sensitive information. The convention calls for the parties to cooperate in improving training and technical support. The conference is to develop mechanisms for provision of financial and other assistance to parties that may request it. With regard to scope, the convention would apply to all nuclear and other radioactive materials used for civilian purposes and the facilities in which they are contained. To the extent possible, it also would apply to such materials and facilities used for noncivilian purposes. In other words, the degree to which the convention will cover materials and facilities used for noncivilian purposes is left to the states-parties in question, but the possibility clearly is there. The parties would hold their first conference no more than 18 months after the date of entry into force of the convention, which like the Convention on Nuclear Safety, requires only 22 ratifications. Thereafter, the parties determine the date of the next meeting, but the interval between the meetings shall not exceed three years. In this way, the conferences will act as a regular and timely forum for review and discussion of the state of the nuclear security regime and of the need for further common steps. Normally, the officials attending the conference would be mid-level political representatives, but it is possible for the conference to meet at a high political level when states-parties so decide. Finally, the convention foresees an important role for the IAEA as depositary and secretariat. This convention thus would strengthen the IAEA’s nuclear security role and work. A key question as the nuclear security summit process nears its end is whether the international community will revert to the institutions, voluntary initiatives, and processes that existed before the summits, which appears to be the current trajectory of summit planning, or if it will start something new. The convention and its conference of parties would replace and build on the summit process by providing the summit process by providing a forum for examining and developing the nuclear security regime in a way that leads to action, not loose commitments to voluntary recommendations. Starting negotiations on the convention after the end of the summit process is a logical follow-up to the 2014 joint statement on strengthening of nuclear security implementation, which became IAEA Information Circular 869 in October 2014. The convention and its mechanisms differ from the summit process, however, in that they will be open to all states that are ready to contribute to the strengthening of nuclear security. The convention therefore has the potential of eventually becoming a universal instrument. An objection raised in some quarters is that although the idea of a convention may be an optimal approach in theory, in reality it would be too difficult to achieve and is impractical. On the contrary, the success of the Vienna Convention on Protecting the Ozone Layer and its Montreal Protocol in effectively addressing a complex technical and economic issue with serious global consequences demonstrates the practicality of the convention approach to an issue such as nuclear security. The ozone treaties were negotiated by a relatively small group of states committed to addressing a global problem. Their intention was that the treaties should be open to all states, and indeed, the ozone treaties have virtually universal membership and are widely seen as a success. With active leadership from a few states, this same approach can work for nuclear security. Clearly, there are potential leaders for this process among the 35 states that are part of the 2014 initiative on strengthening nuclear security implementation. Another objection to a new, legally binding document is that what is needed is better and more complete implementation of existing international agreements. This objection misses the point that the gaps in the regime described above exist precisely because existing instruments do not address them. As a result, no matter how well they are implemented, the international community will remain vulnerable to nuclear terrorism. Nonetheless, in parallel with negotiations on a convention, it is important to continue efforts to implement and strengthen the current instruments, for example, by bringing the CPPNM and its amendment into effect and by continuing the ongoing work in international organizations, in particular the IAEA. During negotiations and after entry into force, the aim of the convention is to supplement and support the existing regime and the work of the relevant organizations, not to interfere with them. Former Secretaries of State George Shultz and Henry Kissinger recently made comments about the need to improve global nuclear security. Shultz noted that the late Max Kampelman, a former close adviser, said the global community and the United States tend to focus on the “what is” of difficult problems, rather than the “what ought to be.” Kissinger added that, in the wake of a nuclear explosion, significant changes would be inevitable. He asked whether the international community is smart enough to make the changes before such an event occurs. It clearly is time to prove the international community is smart and ambitious enough to move the “is” of nuclear security much closer to the “what ought to be.” An international convention on nuclear security is the best way to do that and to do it sustainably. The goal should be to bring such a convention into force by 2020. That time frame would reflect both the complexity of the problem and the urgent need to address it. Kenneth C. Brill is a former U.S. ambassador to the International Atomic Energy Agency (IAEA) and the founding director of the U.S. government’s National Counterproliferation Center. John H. Bernhard is a former Danish ambassador to the IAEA and the Organization for Security and Co-operation in Europe and a former legal adviser in the Danish Foreign Ministry. They are members of the Nuclear Security Governance Experts Group. 1. Office of the Press Secretary, The White House, “Remarks by President Barack Obama, Hradčany Square, Prague, Czech Republic,” April 5, 2009. 2. See Charles Meade and Roger C. Molander, “Considering the Effects of a Catastrophic Terrorist Attack,” RAND Center for Terrorism Risk Management Policy, 2006, http://www.rand.org/content/dam/rand/pubs/technical_reports/2006/RAND_TR391.pdf; Graham Allison, Nuclear Terrorism: The Ultimate Preventable Catastrophe (New York: Henry Holt and Company, 2004). 3. Amre Sarhan, “ISIS Claims Constructing Dirty Bomb After Stealing 40kg of Uranium,” Iraqi News, December 2, 2014, http://www.iraqinews.com/iraq-war/isis-claims-constructing-dirty-bomb-stealing-40kg-uranium/. 4. International Atomic Energy Agency (IAEA), “Incident and Trafficking Database,” December 9, 2014, http://www-ns.iaea.org/security/itdb.asp. 5. Kofi Annan, ”A Global Strategy for Fighting Terrorism” (keynote address at the International Summit on Democracy, Terrorism and Security, Madrid, March 10, 2005), http://summit.clubmadrid.org/keynotes/a-global-strategy-for-fighting-terrorism.html. 6. Office of the Press Secretary, The White House, “Fact Sheet: Advancing Global Nuclear Security,” March 24, 2014, https://www.whitehouse.gov/the-press-office/2014/03/24/fact-sheet-advancing-global-nuclear-security. 7. Nuclear Security Summit 2014, “Strengthening Nuclear Security Implementation,” March 25, 2014, https://www.nss2014.com/sites/default/files/documents/strengthening_nuclear_security_implementation.pdf. 8. See “Trail Smelter case (United States, Canada),” Reports of International Arbitral Awards, Vol. 3 (2006), pp. 1905-1982, http://legal.un.org/riaa/cases/vol_III/1905-1982.pdf. 9. John Bernhard et al., “International Convention on Nuclear Security,” Nuclear Security Governance Experts Group, March 2015, http://www.nsgeg.org/ICNSReport315.pdf. 10. IAEA, “Nuclear Security Fundamentals: Objective and Essential Elements of a State’s Nuclear Security Regime,” IAEA Nuclear Security Series, No. 20 (February 2013), http://www-pub.iaea.org/MTCD/Publications/PDF/Pub1590_web.pdf. 11. IAEA, “Communication Received From the Netherlands Concerning the Strengthening of Nuclear Security Implementation: Joint Statement on Strengthening Nuclear Security Implementation,” INFCIRC/869, October 22, 2014. 12. Nuclear Threat Initiative, “Excerpts: Nuclear Tipping Point,” Vimeo, February 2014, https://vimeo.com/119287564.